Have you been utterly amazed by what you are seeing on your screen? Happened to me in October 2012, while watching episode one of Psycho-Pass – anime series by Production I.G. supported by Nitroplus, FUNimation, Fuji TV, Dentsu and even Sony Music Entertainment… What stunned me were the graphic crime depictions, as well as the sleek city views, sending us to the near future. Of course, it has been long since then, so I felt it’s time for me to share my views on this Acton/Sci-Fi urban anime legend. Before I begin, allow me to assume you have all watched the anime before reading this review. If you have not, be aware that it is impossible to analyse something without references (i.e. spoilers ahead!). As I will mainly focus on the story later on, I will firstly share my views on the animation and music in Season 1 of Psycho-Pass. The original character design is by Akira Amano, who created the mega-famous bishounen galore Katekyo Hitman Reborn! Knowing this, I was not surprised by the similarities in the looks, as well as by the pleasant appearance of most male characters. To be honest, I did not mind it, as it does not oppose the storyline – after all, most characters were aspiring youth (at least at some stage of their lives). The animation itself is the usual sleek computer-generated beauty, which you either like or you don’t. 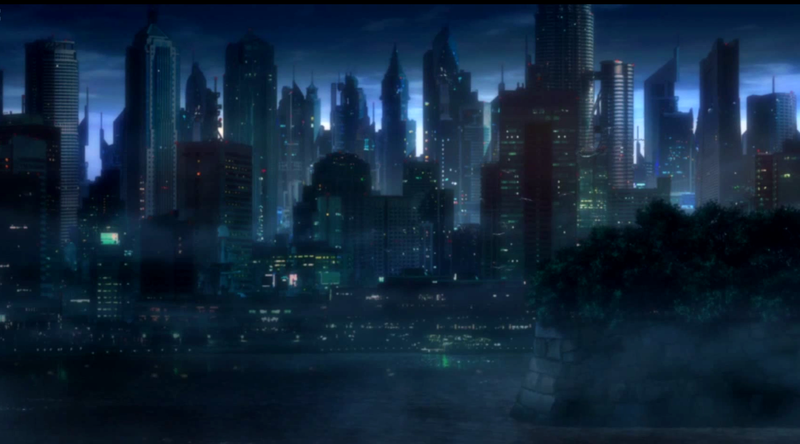 I personally find it fitting for the Urban and Sci-Fi genres, bearing in mind titles like Ergo Proxy, which I still remember for some stunning scenes. The anime has been criticised for its extreme darkness, but I find this rather pretentious and exaggerated. As for the soundtrack, I remember hearing pieces of classical music several times during the series. Truth is I had to double-check with Google before stating that Psycho-Pass has been graced by the music of Claude Debussy. I can also admit that I still have on my playlist the first opening of the anime – Abnormalize by Ling Tosite Sigure. Powerful, sharp, dramatic and dynamic, it ranks amongst my favourite anime tunes ever. The second opening – Out of Control by Nothing’s Carved in Stone is a very nice electric-pop tune, but still falls short of his predecessor, at least on my list. Both endings are by EGOIST (Namae no nai Kaibutsu and All Alone With You), which I believe is a clear indication that the creative team would like Psycho-Pass to keep its specific atmosphere and influence. Both tunes’ sweet nostalgic sound fits perfectly the futuristic and confused reality of the anime and adds a little mellow humanity to it. Every story needs a beginning and Psycho-Pass has a well-thought-of and powerful one that immediately creates a moral conflict. Hush, you squalling thing, I say. Bonaparte will pass this way. The Sibyl System is an organisation which controls the world. 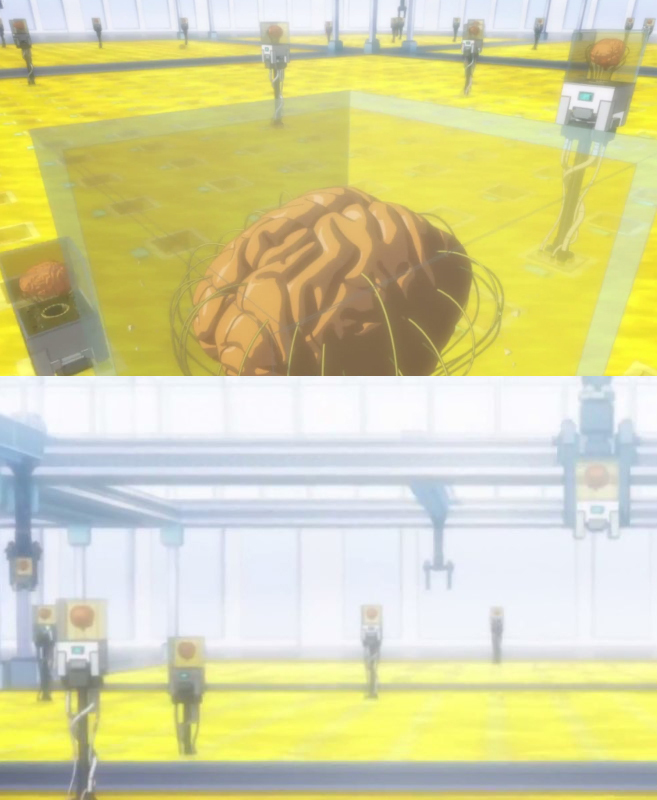 It has initiated the creation of a unique control organism, a huge uni-brain created by 245 others that scans people’s Psycho-Pass level. To be able to transfer their orders, Sybil uses multiple identical robotic bodies under the name Joshu Kasei, who is the Chief of the Public Safety Bureau. 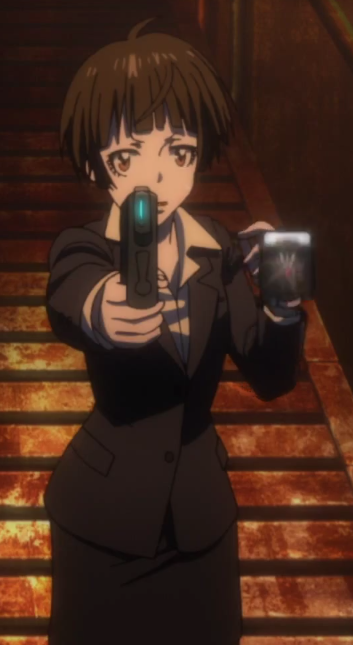 In general, Psycho-Pass is like your ID. It is a scan reading of an individual’s mind that determines their Crime Coefficient. Psycho-Pass levels are associated with colours (a.k.a. Hue). Your Hue, which is constantly monitored, determines your rank in society, hence your entire life. You receive warnings for the alarming changes of your Psycho-Pass levels, so you can take measures and correct them. Still, once you become a criminal, it is highly unlikely that you will ever be back in society. A Psycho-Pass Hue can be clouded by emotions like stress or fear, while the exposure to a criminal’s Psycho-Pass can contaminate a healthy one. The latter is known as Psycho-Hazard. Even those who serve it are unaware of Sibyl’s real nature. 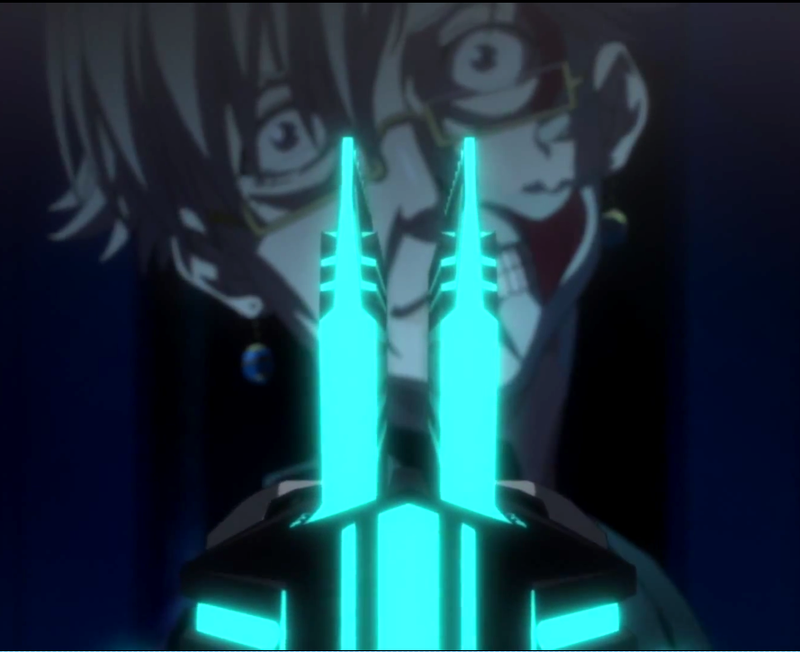 After all, who will succumb to the will of a handful of minds once belonging to ‘criminally asymptomatic’ deviants whose Psycho-Pass could not be detected?! But John Ball shot them all. The Public Safety Bureau serves the Sibyl System and possesses Dominators – weapons whose level of damage is controlled by the target’s Psycho-Pass levels. Our story follows newbie Akane Tsunemori who has just become an Inspector and has been assigned a team of Enforcers (latent criminals used to track other criminals; as their Psycho-Pass level is high enough, they can be killed at will). Hands down, Akane is a terrible character. Badly-drawn and gummy-fish-like, she stands out not only plot-wise, but also visually. She is clumsy and confused, with a mind full of clichéd phrases and a total lack of charisma. Even though she is said to be immune to bad influences, she is immediately attracted to Enforcer Kogami and starts following him as a puppy. When being told the truth about Sybil and being assigned to the task to deliver a new brain (Makishima’s), Akane simply complies after mumbling a few silly phrases on right and wrong. Worst thing is, there is nothing more to her, so what you see is what you get. Of course, she has a character in a MMORP game but come on – how does that make her original?! Her senior officer Nobuchika Ginoza is the typical cold and pragmatic type. However, he managed to show his true colours (and Hue) proving he is capable of strong emotions and (as it happens often) his straight face is a protection mask. Even if trivial, Ginoza is a useful and likeable character, especially having in mind he is a supporting and not a lead one. What really impressed me, were the other secondary characters in the Enforcers’ team, who we cared for, even though did not know well. Ex-rock star Yayoi Kunizuka is a pretty Enforcer with a great love for a fellow singer, who is a deviant. Before becoming a robot expert, she was on the brink of self-destruction because of Sybil’s ‘Hue rehabilitation’ techniques. Her story itself is worthy of an entire anime. The creators also managed to show us enough of red-haired joker Shusei Kagari, so we actually hoped he did not die by the hand of Chief Jushu Kasei, after having seen Sybil’s real face(s). Needless to say, this hope died, though after him. Another Enforcer, friendly elderly Tomomi Masaoka, was too easy to recognise as Ginoza’s father. Still, his cameo was much more useful than Akane’s lead presence. I also loved the character of the latent criminal Shion Karanomori, who is an analyst for The Public Safety Bureau. Much more feminine, fun and deep than Akane, she will be remembered by many, even though she barely had any screen time. Every story needs a hero and this one is a real cowboy. Shinya Kogami is an ex-Inspector whose Psycho-Pass has risen beyond salvation after the merciless slaughter of one of his Enforcers. 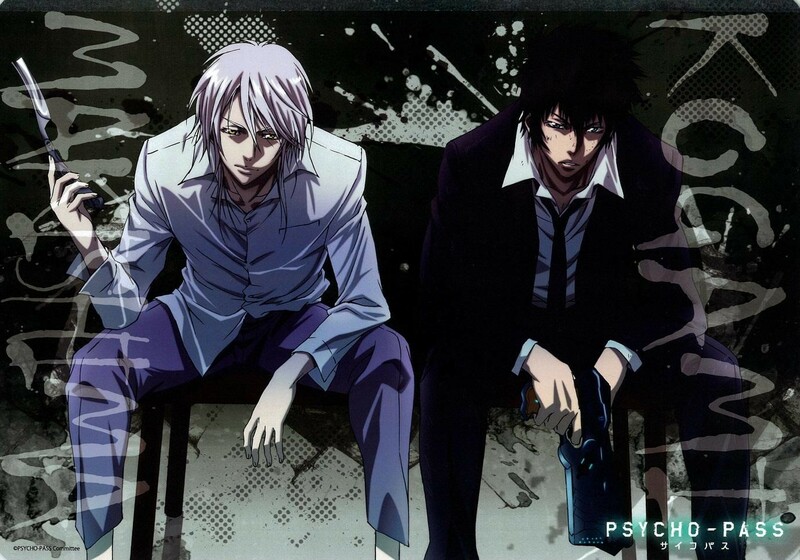 Back in the system after a serious demotion, Kogami remains special, as he has his own agenda. I am not very impressed by this character, as we were constantly told he is exceptional, without being shown he is exceptional. We knew he can fight and he has great pain tolerance, but that’s it. What I can talk about is his fixation on the antagonist Shogo Makishima, which made Kogami special and capable of actually opposing him. This Enforcer is the only one able to trace Makishma’s treads and untangle his web, even if a bit. 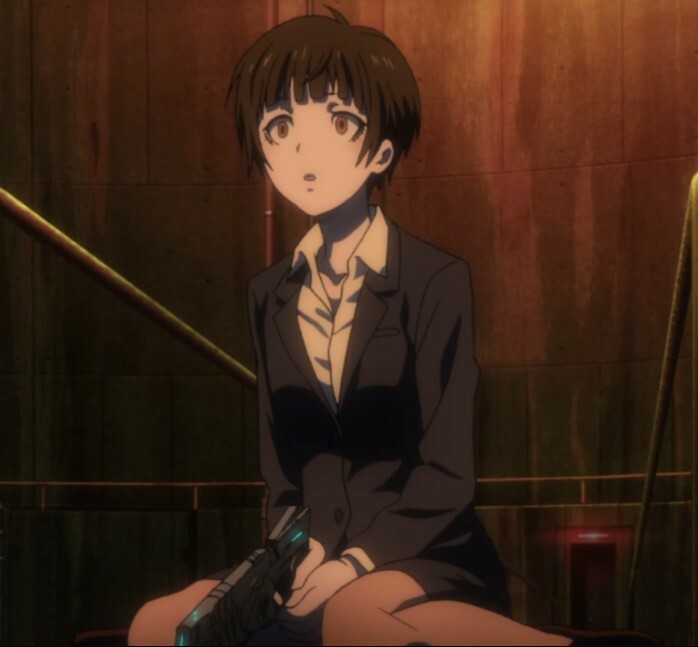 Without Kogami’s instincts (something Sybil requires to be erased), The Public Safety Bureau would have been completely helpless against major crime. 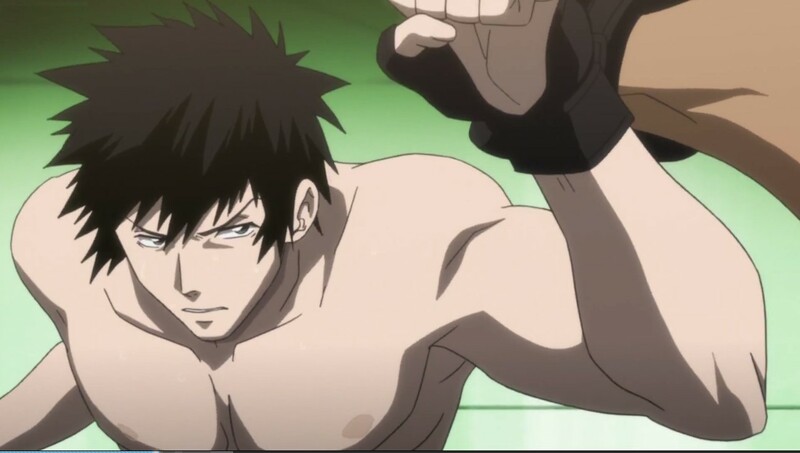 Kogami is also one of the few characters in this anime that shows the complexity of respecting someone they disagree with and being able to appreciate the skills of a person they loathe. No wonder he was brave and determined enough to take possession of a classic gun instead of a Dominator and finally became Makishima’s killer. Pardon me in advance for dedicating the largest part of my review to the bad guy. Truth is, there is a real danger, when you are building an anime around an arch-enemy rather than various random villains (taking or not taking part in a mysterious organisation that killed at least one very loving family, preferably that of the protagonist). You can allow your ‘hero’ some weaknesses (as this is oh-so cute), but if your arch-evil fails to impress, both you and Goody Two-Shoes lose your audience. 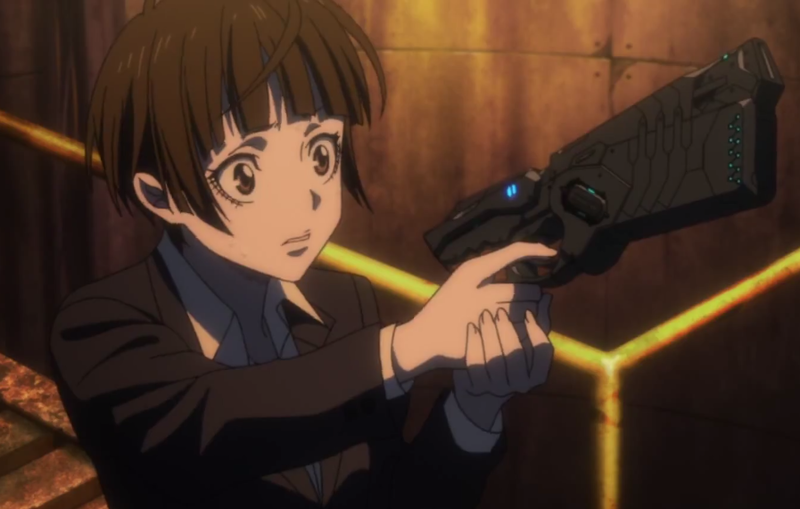 Let’s say Psycho-Pass kept us impressed for a long time. Every morsel snap, snap, snap. Everyone who bows down to the system and discards their personality to keep the false sense of security sees change as an enemy. 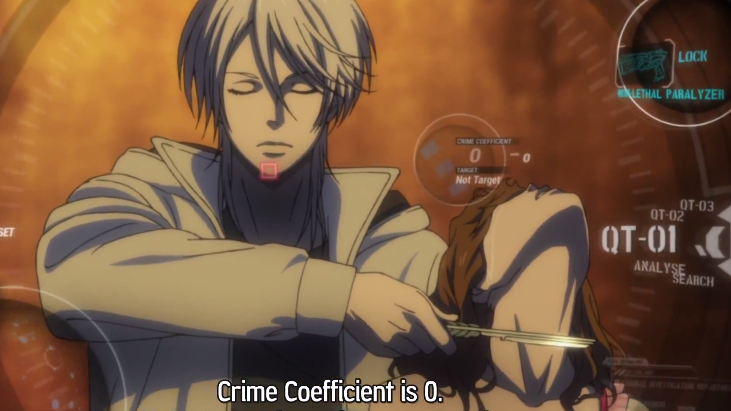 No wonder then, Shogo Makishima is the antagonist in Psycho-Pass. Handsome genius and rich sociopath, (Shogo) Makishima has a weird hobby – he loves people! His love, though, is not that Shakespearian type tragic but self-sacrificing one, but rather the one of the explorer. Makishima has a goal in life – he craves relieving people from the social norms and knows the only way to do this is to lead them into deviance. He has long discovered there is no bigger evil that a system, which turns men into sheep. He is the ‘red pill’ against Sybil, the one who shows how different people really are, when their rage is unleashed and their sadistic nature is encouraged. He is the point of view that allows you to see how fake Sybil’s society is and how her ‘regular citizens’ turn into unique and vile creatures. Like a sadistic Izaya Orihara (Durarara!! ), Makishima enjoys finding unique ‘human specimen’ and pushing them to their limits and is a virtuoso in all forms of manipulation. Being criminally asymptomatic (a.k.a. undetected by the Sibyl System), Makishima slaughters with a smile…personally or by moving a pawn. 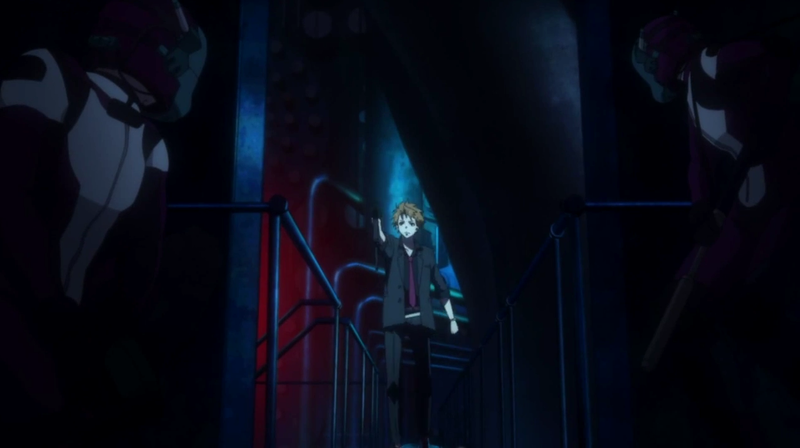 He is immune to the Dominators, as his Psycho-Pass never rises to criminal levels, meaning that the one willing to take him down should oppose the system. Makishima’s looks (slender build, blond hair and amber eyes), his attitude, his melancholic and twisted attachment to the world make him a character with extreme charisma. He enjoys every contact with anyone who possesses a character, a special skill and a goal – someone like Kogami (exceptional detective, with excellent deduction, combat skills and pathological dedication) or Guseong Choe (a genius hacker and an avid Sibyl adversary). Makishima’s pawn-villains, ‘awakened’ with his unmistakable guidance, are also hand-picked unique and special characters, be it with their higher education, creative genius or unnatural cravings. 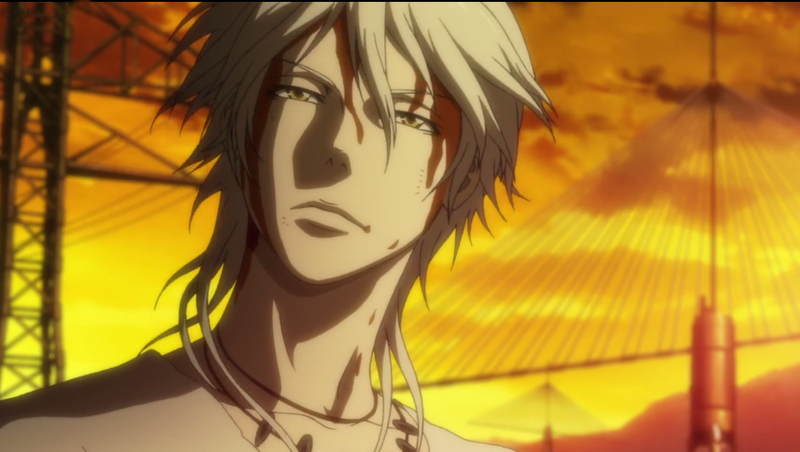 A great mind deserves a great death and an anime lover should never forgive Psycho-Pass’s creators for denying Makishima one. His end was silly, unexpected and lacklustre. You can say Makishima actually won against Sybil, as he managed to create his own killer and in doing so, had stolen him from her. You can, but this would be too shallow. Makishima wanted to live on and did all in his might to do so. Unfortunately, he grew bigger than the anime and had to be cut off…or at least I was left with this feeling. After the end of the episode, I shed a tear for the bad guy and went out on a rampage…You won again, Makishima. The worms crawl’d out, the worms crawl’d in. You will be so when you are dead. 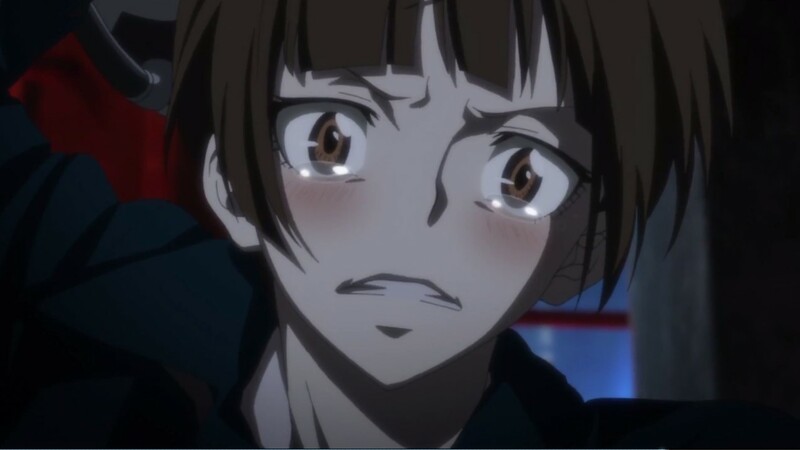 The worst part of Psycho-Pass is its season finale. What we supposed will happen to each character has happened; what we hoped for – did not. There was a slaughter – not a gory one, but a story one. I will not summarise, as this ‘development’ made no sense whatsoever and you have all seen it. The ending was so flat, rushed and predictable that I forgot every good thing this anime has shown me – a lot of daring scenes, a charismatic villain, a brilliant social metaphor represented by a twisted control system, a likeable hero and a handful of captivating characters one is craving to know. There is Season 2, so I hope the creative team has shown some remorse. 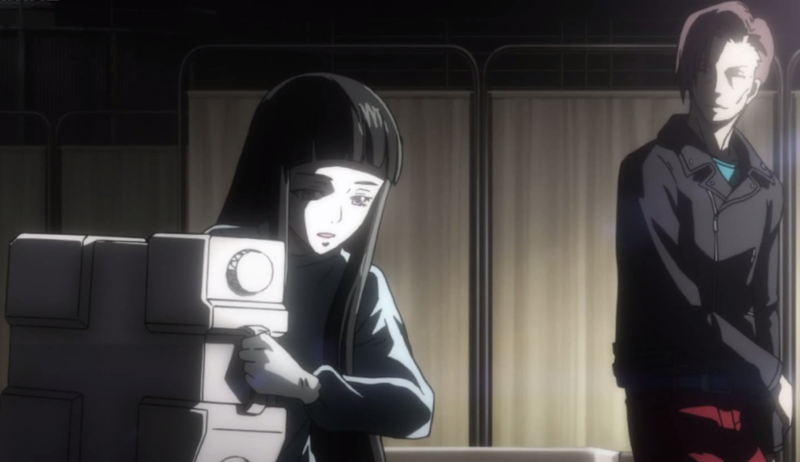 Still, by keeping the trivial Akane and creatively incapacitating Kogami and Makishima, they have lost me as a viewer. I personally loved the first episode, then it was a downfall… The show deviated from the original raw brutality and lost a lot. As for Makishima, I am always a huge fan of intelligent villains, so, even though I admit his means are sinister, I support his urge for escape from ‘the matrix’. Would have loved to know more about the Enforcers. I can see Death Scythe loves Tsunemori. Great job on the analysis ;) Apparently, you have done a lot of thinking and digging. Well, this is a mervellous review and I loved reading it. This said, I don’t agree with some of the things said there. 1st – I think this show, being one of the few that actually try to be different from all the rest, deserved the thumbs-up for ideas. 2nd It’s an original story, making it even better. 3rd the ideas, although somewhat shabby and somewhat cliche, are good. We have a little hater here. Fantastic review! Thank you for doing such an in-depth analysis of this series. 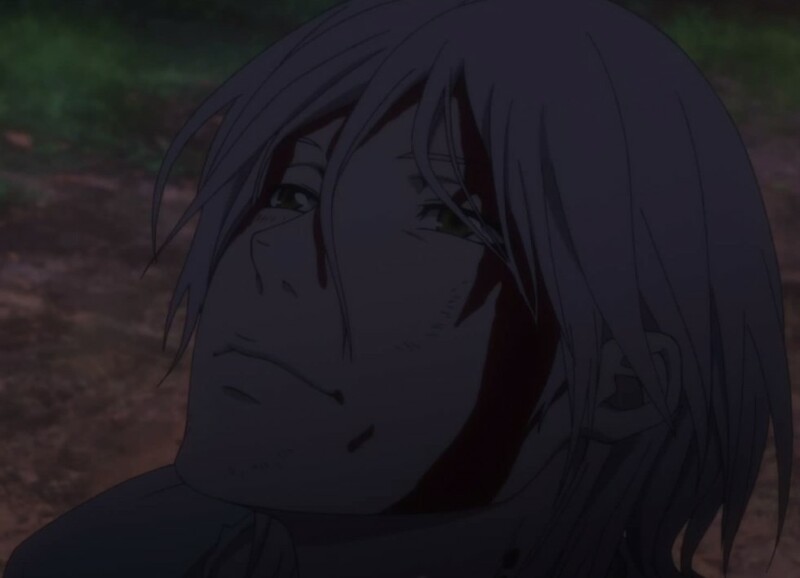 I personally share you opinion on the ending being a huge let-down and was hoping there is a way for Makishima to return.